Company Overview: Toronto’s original Mazda dealer, established in 1975. 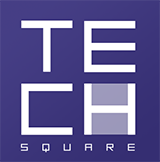 We have been delivering great customer service for more than 35 years. We strive to continually focus our efforts on improving communications and processes, in order to deliver the highest level of customer satisfaction. 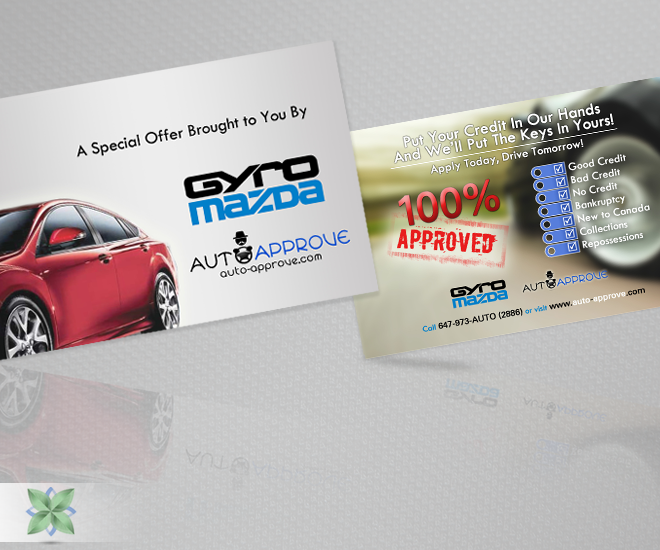 Customer Requirement: Gyro Mazda now offers Financing for all customers! Their slogan is “Put your credit in our hands and we’ll put the keys in yours!”. They were in need of a printed flyer to advertise their new sub-brand of ‘Auto-Approve’ to expand their current client base. Natural Graphics Feedback: Looking for an eye-catching flyer we kept a clean corporate cover while delivering the fun and exciting reverse-side to excite potential new customers. At 2,500 prints and a focused delivery area these flyers are sure to create some new leads.